Baby potatoes coated in rich, creamy, aromatic pesto. Served it chilled as a salad or at room temperature as a curry. 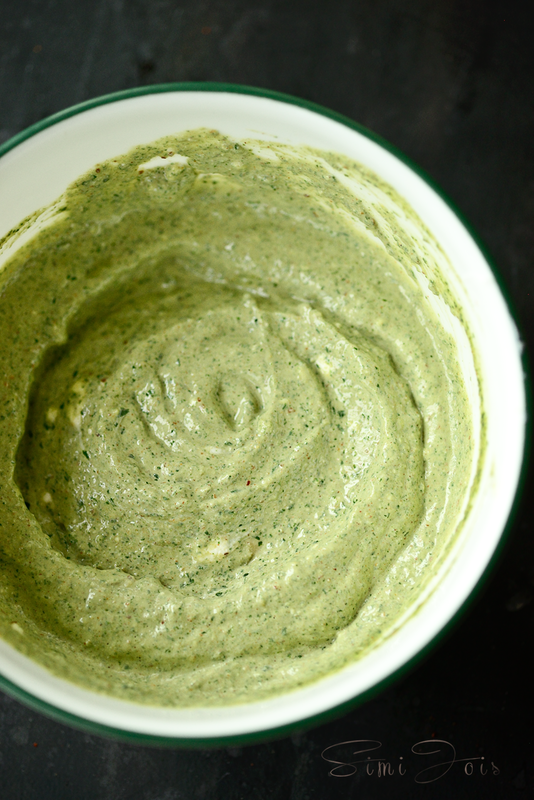 The flavor of mint is celebrated in this pesto for sure. I get baby potatoes only at this time of the year at the local farmer’s market. You get them in three colors, the pale yellow, red and purple. Somehow I have not developed a taste for purple potatoes. Probably it is a mindset. Meanwhile in my herb patch the mint is growing wild. I hate to dispose them off. Even after generously giving them away to many of my friends/neighbors, I have plenty. If I can say so myself I really outdid myself in this recipe. It’s fresh, aromatic, spicy, tangy and just perfect. 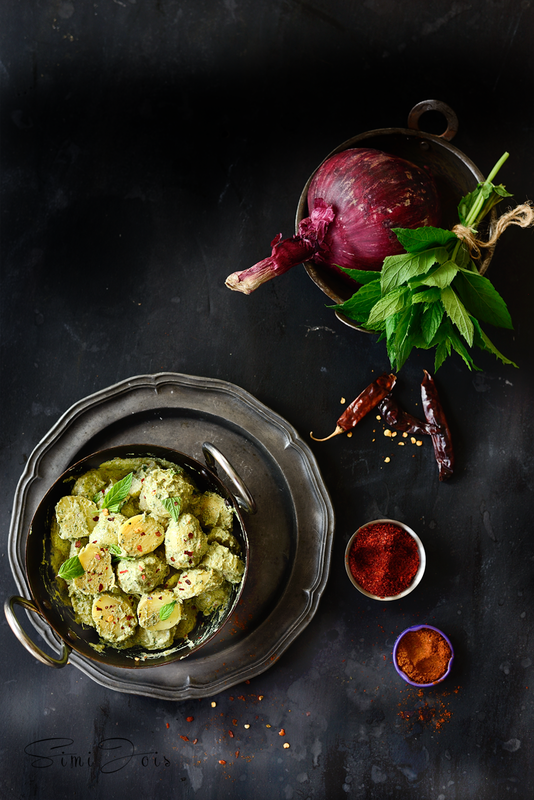 You can serve it as a salad or make hot rotis and it could be passed of as a curry. 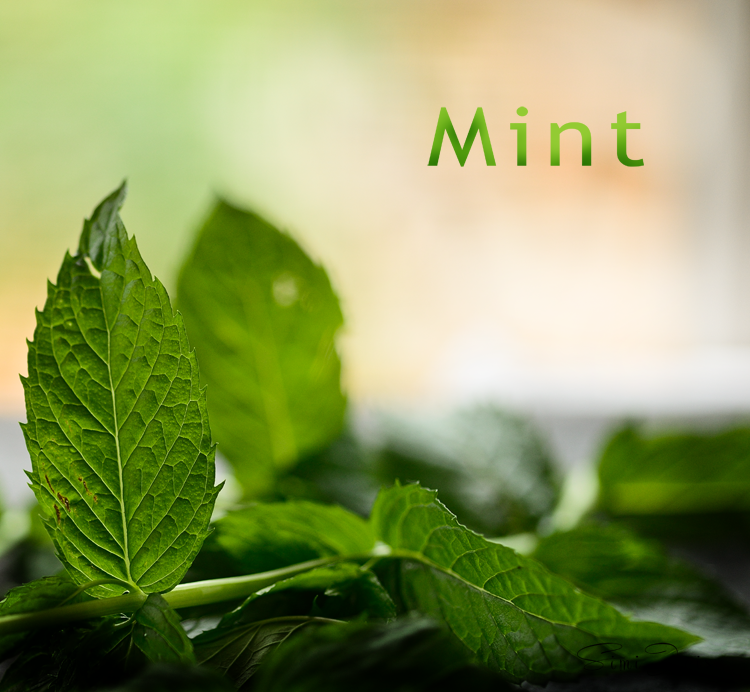 If you are not fond of mint, this recipe is not for you. I thought the baby potatoes were the real hero but it’s the mint. The left over pesto was used in cucumber sandwiches and was a winner. Am going to blog about that real soon. Really nothing much to share this week. I know I had something to tell you guys, but somehow I can’t remember now. Oh yes! I am planning to re-start ‘Culinary Optics’. Culinary optics was my Column for the Daily Meal, showcasing interviews with food photographers/stylists. Am planning to restart that column and this time it will be exclusively on TNS. I have already asked someone very special. She said ‘yes’. All I can say is, you guys love her work, she’s an amazing artist and her work is fantabulous. Hint: She loves to bake. Am sure you can guess who I am talking about. 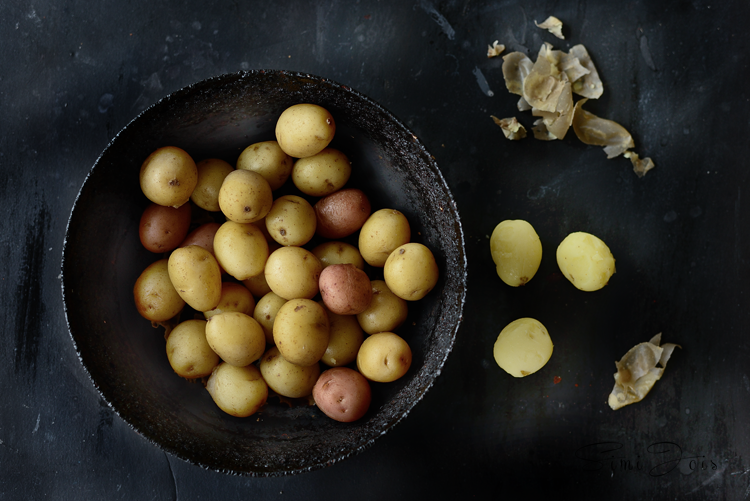 Boil the potatoes and let them cool. They need to be at room temperature - not warm or hot. 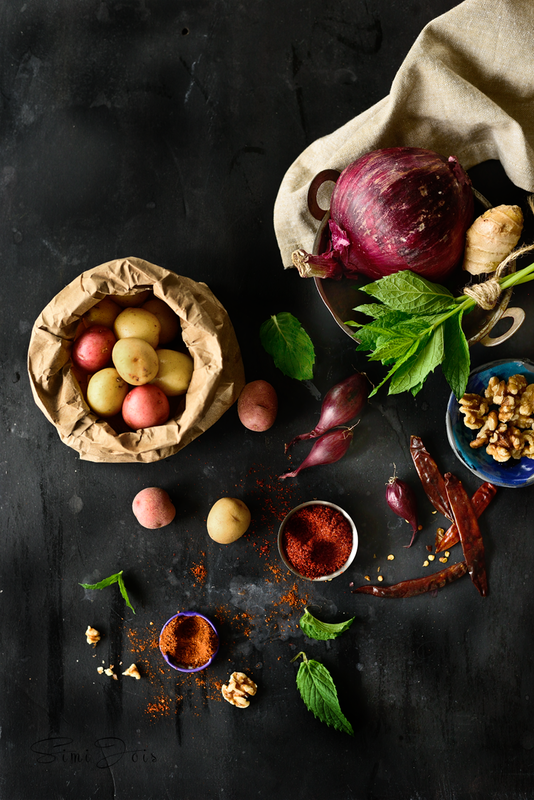 Blend together mint, ginger, garlic, red chillies, garam masala, salt, lime juice, olive oil and walnuts into thick paste with very little water. Keep the pesto a little course, as it adds texture to the dish. Mix it with the hung curd/yogurt and chopped onions. Toss it with the boiled n peeled potatoes. Garnish with mint leaves and chili flakes. 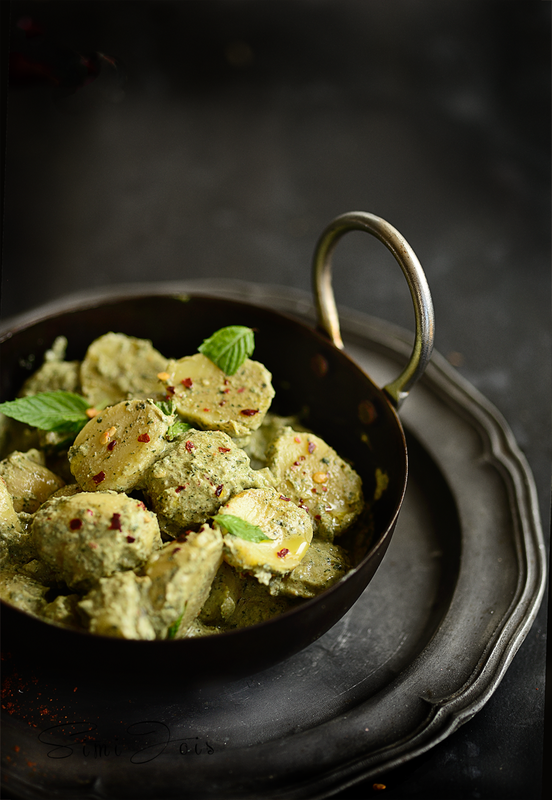 Serve chilled as a salad or at room temperature with hot rotis. Lovely post. In love all the pictures. A wonderful potato salad. So flavourful and delightfully spicy. Great clicks, as usual. Love that creamy yoghurt dressing! Simi , This post is a visual treat... Most of the images have a new style , very different from your usual... just loved going back on them.. Oh yes !! 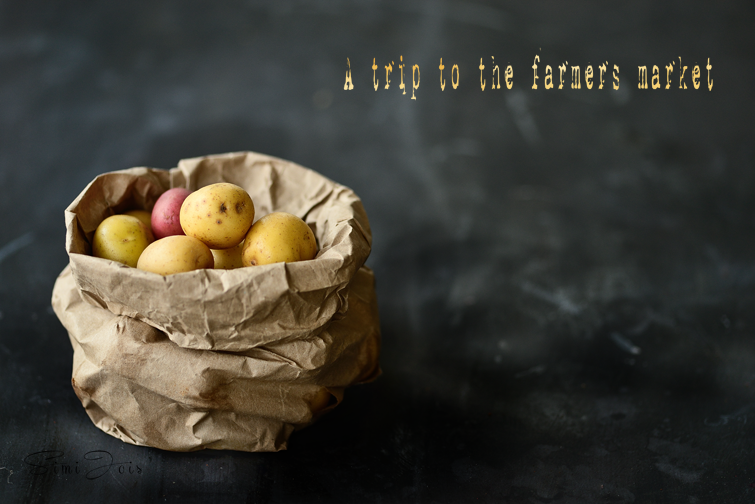 when I have baby potatoes in my pantry , I will come back to read the recipe !. Gorgeous Gorgeous Photos, Simi. You have elevated the dear little potato to a new height!